We've never seen one this tiny. Just a little while after people out in California heard some rustling and saw a wild animal crossing their yard, they heard crying. When they went out to check, they found a tiny baby animal so young that his umbilical chord was still attached. And he was freezing cold and filthy. 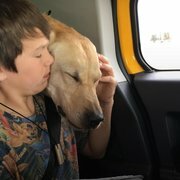 No one knows what happened to his mom, but for some reason, she didn't come back for him, so rescuers contacted the local humane society, which then connected them to WildCare in San Rafael, California. "He had fly eggs in the corners of his eyes and his mouth which indicated he had been alone for a long time," WildCare wrote. And he was the tiniest baby coyote they'd ever seen. 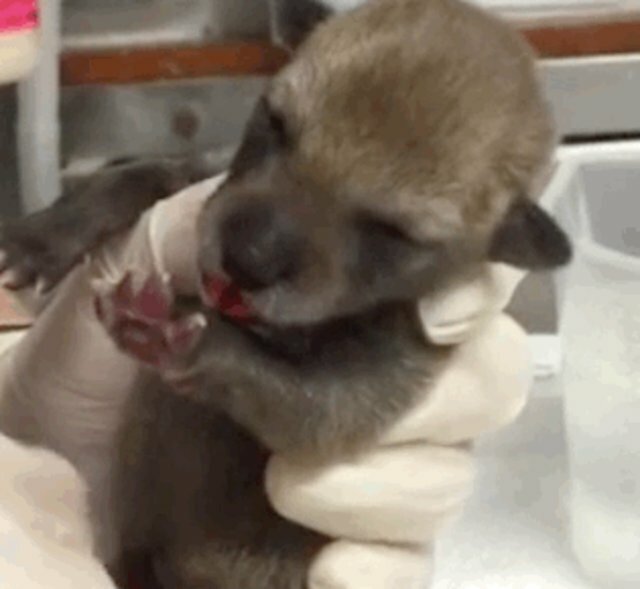 “This orphaned baby coyote is the youngest coyote we’ve ever admitted to WildCare’s Wildlife Hospital," Brittany Morse, WildCare clinic manager, told The Dodo. 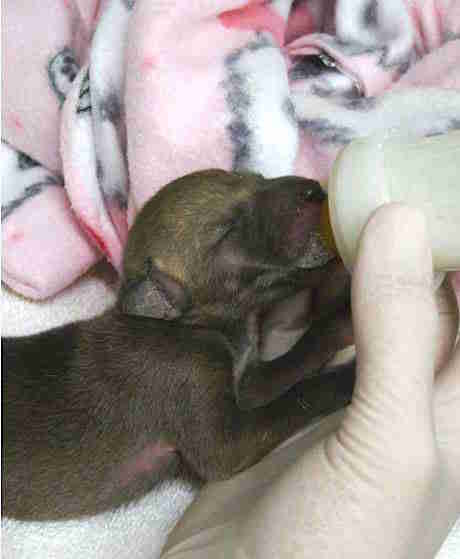 "Despite being dangerously chilled when he was admitted, this baby has recovered well and is thriving in foster care." 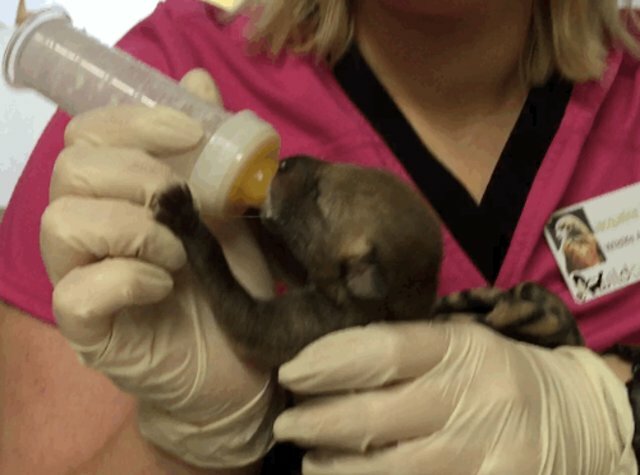 The baby quickly learned to suckle special formula from a bottle, and he warmed up in an intensive care unit. After about a week with his caring rehabilitators, he's already gaining weight and getting squirmy and energetic. Baby coyotes don't even open their eyes or ears until they're 2 weeks old, so this little baby hasn't even seen the world yet. "Once his eyes and ears open, we won’t be able to allow anyone to see him or be talking around him," Alison Hermance, spokesperson for WildCare, told The Dodo. And his rescuers are searching for a friend for him. "We are still in the process of finding a coyote companion for him," Hermance said. "It is imperative that when this baby’s eyes open the first thing he sees is another coyote." This way, the little guy will have an understanding that he's a wild animal, so that when he's set free, he'll know how to survive with other coyotes. 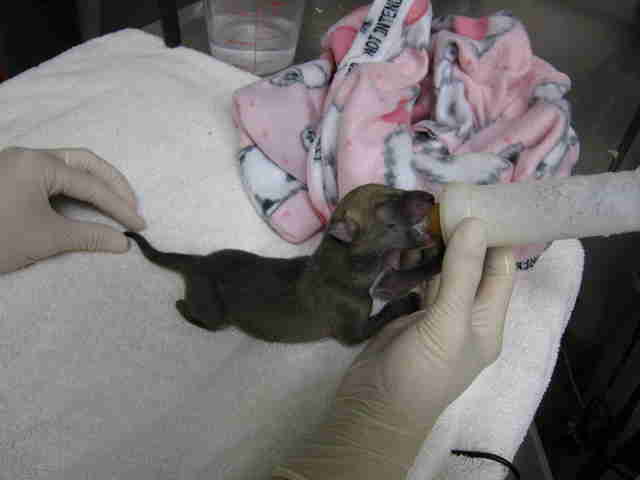 WildCare is working with other wildlife centers to find a similarly-aged baby for him to grow up with. "He will grow up with other orphaned coyotes and will be released back to the wild when he is old enough to survive on his own," Morse said. 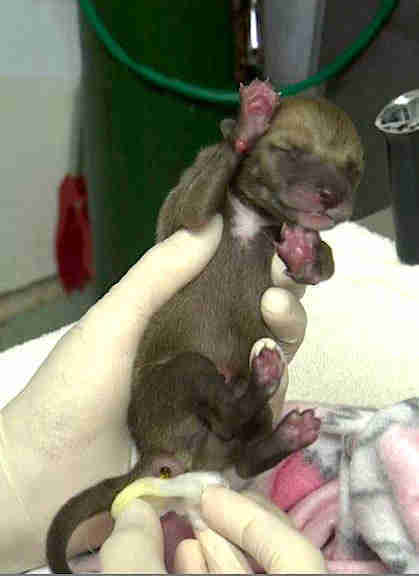 To help this baby coyote and the other animals WildCare rescues, you can make a donation.